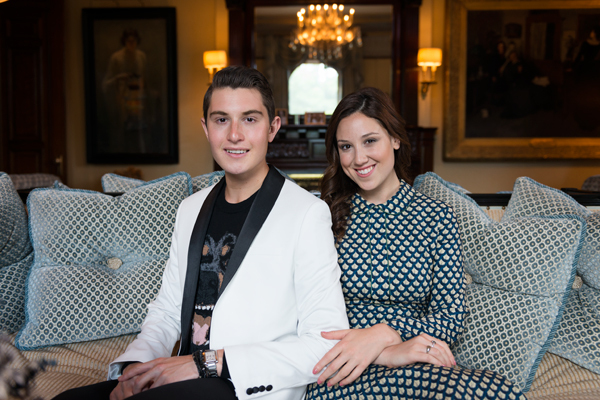 What do you do when you’re young, rich and your parents own Leonard Bernstein’s former apartment in the Dakota? Have a seance with your well-connected friends in an attempt to summon the late “West Side Story” composer’s spirit, naturally. Larry Milstein, 22, and his sister Toby, 24, hosted the seance from their park-facing apartment in the building famed for its appearance in “Rosemary’s Baby.” They are the children of Cheryl and Philip Milstein — part of the NYC real estate family whose collective wealth Forbes estimated at $3.1 billion in 2015. They payed $20.5 million for their apartment in 2008, shortly after a major schism in the family. Their wealth has allowed the Milsteins to become major philanthropists — and to entertain in style. “This is an apartment within a building that is so steeped in history that it’s impossible not to acknowledge the past,” Larry Milstein told the New York Times. Their guests included Princess Noor Pahlavi, a daughter of Iran’s exiled crown prince, Reza Pahlavi, and granddaughter of the late shah; Sarah Pierce; Julia Pissarro, a great-granddaughter of the Impressionist painter; Eli Rivkin, Larry Milstein’s boyfriend and a Yale classmate, who is the son of a former ambassador to France; Maddy Bohrer, an artist; and Ben Piper and Paul Peglar, who are musicians.